The award will support the research of the 1,000 Days project. A study by UNC-Chapel Hill researchers recommends enhancing attentiveness to the individual needs of new mothers and transforming postpartum care from a single encounter to an ongoing process. The event was held April 20 – 22, 2018 in Asheville, N.C. Though the finding is rare, it is possible. Dr. Laura Carlson’s team established a protocol to help other obstetricians. The study section is under the NIH’s Center for Scientific Review. Last year, UNC OB-GYN was ranked at No. 7 in NIH funding among academic departments of obstetrics and gynecology. Game-changing news about induction, 28 posters and two oral presentations came from UNC OB-GYN faculty and fellows in attendance at the annual meeting of the Society of Maternal-Fetal Medicine. Projects must demonstrate high translational potential with a clear path to subsequent grant support in order to receive the award. The National Medical Research Center for Obstetrics, Gynecology and Perinatology of Russia named Dr. Chescheir honorary member in January 2018. Nancy Chescheir, MD, professor of obstetrics and gynecology in the Division of Maternal-Fetal Medicine, will be the featured speaker at the 33rd annual Norma Berryhill Distinguished Lecture and Faculty Welcome event. The event will take place Thursday, Nov. 30, at the Genome Sciences Building. The calculator will provide policy makers and advocates with an approximation of the return on investment for interventions that enable women to breastfeed. The National Partnership of Maternal Safety is a multidisciplinary workgroup of the Council on Patient Safety in Women’s Health Care. Emily Hardisty has been promoted from instructor to assistant professor. 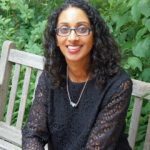 Dr. Neeta Vora is lead author on this new research on improving prenatal diagnosis. The promotion was effective April 30, 2017. 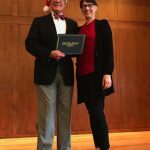 Hardisty received her master’s degree in genetic counseling from the University of South Carolina School of Medicine in 2001. The practice will offer expert and compassionate maternal-fetal medicine care in a location convenient for many Orange, Durham and Alamance county patients. Both were announced at the society’s annual meeting over the weekend in Charlotte, N.C.
Stuebe makes a case to close the care-work deficit. 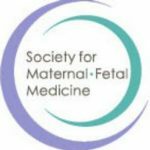 Dr. Manuck will present the findings at The Society for Maternal-Fetal Medicine’s annual meeting in Las Vegas, NV, Jan. 26. Dr. Alison Stuebe of UNC Maternal-Fetal Medicine will be one of the featured speakers. The faculty consult team has physicians from UNC OB-GYN, Family Medicine and Pediatrics. Dr. Hendrée Jones and Dr. Neeta Vora were featured in back-to-back weeks. Suboptimal breastfeeding is associated with a greater burden of disease among black and Hispanic populations, according to a study co-authored by Dr. Alison Stuebe. The promotion is effective Dec. 1, 2016. The expert panel event will be Nov. 29 at 6:30 p.m. in the Nelson Mandela Auditorium of the FedEx Global Education Center on campus. Dr. Kim Boggess, a professor in the Division of Maternal-Fetal Medicine, and her team have discovered that administering azithromycin prior to cesarean delivery reduces infection by half. 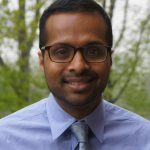 Dr. Vora’s work involves using new genomic technologies to improve prenatal diagnosis. Four co-investigators from UNC will lead a five-year, multicenter study to examine the impact of combined Metformin and insulin therapy on infant outcomes with mothers experiencing type 2 diabetes in pregnancy. Seven outstanding employees received the honor. Her appointment is effective Aug. 8, 2016. The program’s mission is to help early-career physician-scientists continue their patient-centered research amid extraprofessional caregiving demands. The study’s results will help improve health outcomes for mothers, their babies and future pregnancies. The site lists experts for the media, the newest information on the virus and offers links to trusted sources. The family thanked UNC MFM, NICU and Ronald McDonald House for their care of the rare identical triplets. PCHHC is coordinated by the Center for Maternal and Infant Health and housed within the School of Medicine. The $50,000 grants were awarded to three teams of researchers at the UNC School of Medicine. The opinion urges providers to better support the individual needs of new mothers and to help pregnant women prepare for the postpartum period. The video highlighting the division was featured over four days at the ACOG annual meeting in May 2016. The renewable appointment runs through October 2018. Dr. Julie Johnson, Assistant Professor in Maternal-Fetal Medicine, UNC Department of Obstetrics & Gynecology, provides care at Moore Regional Hospital in Pinehurst, NC. His focus will be improving quality and safety of healthcare at UNC. The findings highlight the potential impact of exposure to toxic metals such as cadmium on adverse pregnancy outcomes. The study reports on eight cases where noninvasive prenatal tests revealed cancer in the mother.